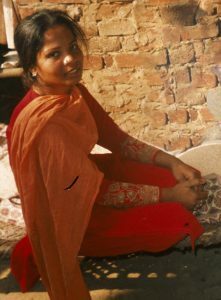 A Muslim cleric in Pakistan has renewed calls for the hanging of Asia Bibi, the Christian woman who has spent seven years on death row, having been convicted of committing blasphemy. Mufti Muhammad Haneef Qureshi said the State’s failure to punish Bibi’s alleged blasphemy caused the death last week of Mashal Khan, 23, who was reportedly “stripped, beaten, shot and thrown from the second floor” of a university building, for allegedly posting “blasphemous” content on Facebook. “If sinners, declared blasphemous by the courts, were not granted extensions [to their stay of execution], students would not act this way [by killing others],” Qureshi said. He added that similar incidents were likely to occur “as long as people feel insulted in their religious sentiments”. In 2016 about 150 Muslim clerics (muftis) from the radical Islamist group, Sunni Tehreek, issued a statement demanding the hanging of Asia Bibi and other prisoners accused of blasphemy. Bibi’s case lies with the Supreme Court, with no date set for a final hearing. Khan’s killing also led to renewed calls for reforms of Pakistan’s notorious blasphemy laws; the National Assembly condemned the lynching and called for safeguards to prevent further killings in the name of blasphemy. Meanwhile, World Watch Monitor described the two major schools of Islamic thought in Pakistan and their impact on mainstream Muslim theology.